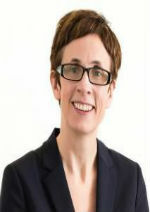 Penny Pereira is Deputy Director of Improvement at the Health Foundation. She is the Programme Director for the Q initiative. Before joining the Health Foundation, Penny was the Director of Strategy and Service Improvement at a hospital trust in East London. Penny has spent her career leading improvement work at local and national level in the NHS, with particular expertise in process and system redesign and leading strategic change across organisations. She is the author of Building Q, which explored the use of collaborative design methods to develop the Q initiative with 231 people.